In a previous blog, 4 years ago, I gathered medical reports about forms of diet that recognised medical studies have suggested to have an impact on the survival rate and length of Ovarian Cancer patients. 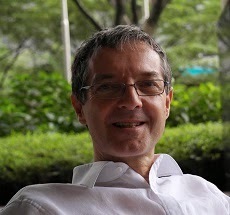 Having done some further research on this topic, I am not suggesting to reject or even replace standard medical treatments, as some do, although elements of what, for example, cancer survivors like journalist and media entrepreneur Evita Ramparte live on are certainly reflective of medical studies (emphasising fresh, organic fruit and vegetables, less red meat etc.). While a positive attitude, not to focus on the cancer, but rather on the rebalancing of one's own life seems vital, one of the important suggestions which seem shared by medical studies is the impact of sports. One note on Green tea during a therapy with Bortezomib: A study of 2009 found out that patients during this therapy should not dring Green tea because its content (EGCG) could counter-act the therapy - but they can start drinking Green tea again, once the therapy has ended (see N. Quirin, p. 6 below). There is a variety of Products which are listed amongst those who either help spreading tumors or metastases, others work against inflammation, others stimulate bacteria to support the immun system or help deactivate unhelpful content of other food. Nicole Quirin, Ernährung bei Krebserkrankungen (s.l., 2011). - Yang , L , Klint , A , Lambe , M , Bellocco , R Riman , T . 2008. Predictors of ovarian cancer survival: a population-based prospective study in Sweden. Int J Cancer, 123: 672–679. - Nagle , C M , Purdie , D M , Webb , P M , Green , A Harvey , P W . 2003. Dietary influences on survival after ovarian cancer. Int J Cancer, 106: 264–269. - Zhang , M , Lee , A H , Binns , C W and Xie , X . 2004. Green tea consumption enhances survival of Zhang , M , Lee , A H , Binns , C W and Xie , X . 2004. Green tea consumption enhances survival of Zhang , M , Lee , A H , Binns , C W and Xie , X . 2004. Green tea consumption enhances survival of epithelial ovarian cancer. Int J Cancer, 112: 465–469. Zhang , M , Lee , A H , Binns , C W and Xie , X . 2004. Green tea consumption enhances survival of epithelial ovarian cancer. Int J Cancer, 112: 465–469. The main focus, then of this article is on the BMI (Body Mass Index) with its evaluation of the impact of obesity on stage of disease at diagnosis, as well as its effect on survival: ‘Survival analyses need to include important covariates, such as age, stage, grade, histologic type, presence of ascites, and treatment information. Of relevance is not just weight or BMI prediagnosis or at the time of diagnosis but also during and after treatment’. Again, there are only a limited number of studies to have dealt with this issue that filtered into the above mentioned guidelines. More, however has been done on physical activity and ovarian cancer survivors, although most older studies deal with physical activity and cancer prevention and much more research needs to be done on this topic. 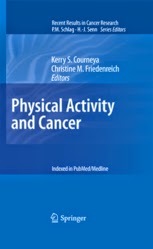 Yet, recently an important study appeared as hard copy and ebook on physical activity and cancer with a special chapter by Karen M. Gil (et al.) on ‘Physical Activity and Gynecologic Cancer Survivorship’ (pp. 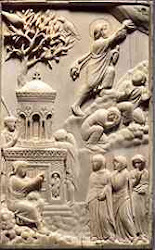 305-15). The chapter concludes that, although, physical activity improves life’s quality, the impact on overall survival has not been established yet and needs further research. ·Corresponding author at: Summa Akron City Hospital, 525 East Market Med II, POB # 2090, Akron, OH 44309, USA. Fax: +1 330 375 7813. 'Feasibility of a lifestyle intervention for ovarian cancer patients receiving adjuvant chemotherapy’, Gynecologic Oncology 122/2 (2011): 328-33. The result of their study was that with 27 patients enrolled there was a ‘moderate to strenuous physical activity’ which ‘was correlated with higher physical well-being during chemotherapy’. And they conclude that ‘Lifestyle counseling during adjuvant chemotherapy for ovarian cancer is feasible and may improve physical activity and diet quality’. To learn more, they suggest further trials. Already before a similar team, Clare Stevinson et al., ‘Associations between physical activity and quality of life in ovarian cancer survivors’, Gynecologic Oncology 106/1 (2007): 244–50, to find out that ‘few ovarian cancer survivors are meeting public health physical activity guidelines, but those that are meeting guidelines report significantly and meaningfully better quality of life. Clinical trials investigating the causal effects of physical activity on quality of life in ovarian cancer survivors are warranted’.